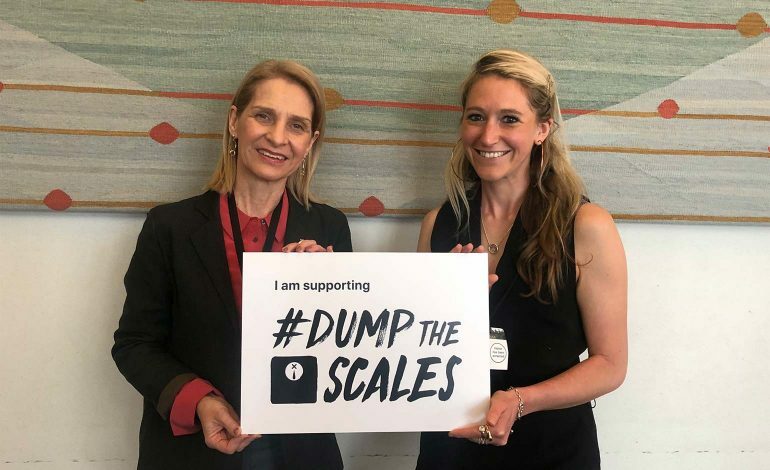 Bath MP Wera Hobhouse and activist Hope Virgo have joined forces in Parliament to improve how eating disorders are diagnosed and treated across the country. MPs from different parties joined the pair in calling for GPs to ‘dump the scales’ when it comes to diagnosing eating disorders. Ms Virgo said: “It was brilliant to see so many MPs come together to show support for tackling eating disorders, and my campaign to Dump The Scales. “The support is great, and now we need to translate it into action. More awareness around this issue is vital to make long term change happen and to help save lives. Her campaign calls for the implementation of the NICE Guidelines which acknowledge the importance of early intervention in eating disorder treatment, and that BMI is irrelevant to diagnosis. With over 70,000 signatures on her petition and counting, Hope has a wave of support behind her. According to Beat Eating Disorders, 1.25 million people currently suffer from an eating disorder in the UK alone, though this is believed to be a grave underestimate as many cases go unreported. When people do feel compelled to come forward, many are turned away as their BMI is ‘too high’ to receive treatment. In October 2018, the Member of Parliament for Bath tabled a motion to tackle the problems of a lack of early intervention, little focus on the mental health of patients, inadequate training of doctors, and the need for standard reporting mechanisms and waiting time standards for adults. Wera said: “To judge an eating disorder simply by BMI is not good enough. Rather, we need to look at the trend and rapidity of weight loss and the story sufferers tell. Rachel Morris MBE, a Paralympic gold medalist who supports the campaign, added: “It is vital we start changing the way we see people specifically young people who have so many new pressures put on given and turn that against themselves. “Being part of Dump The Scales is something I am very passionate about, partly as someone who has struggled with both anorexia and bulimia and now as I am working with more mental health in young people and adults I am seeing ‘below the tip of the ice berg’ as people open up to me.